A very busy week ahead for BDC investors including fast moving prices; eleven new earnings releases and the vote on whether Medley Capital will merge into Sierra Income. We pledge to keep readers updated as a critical week unfolds. 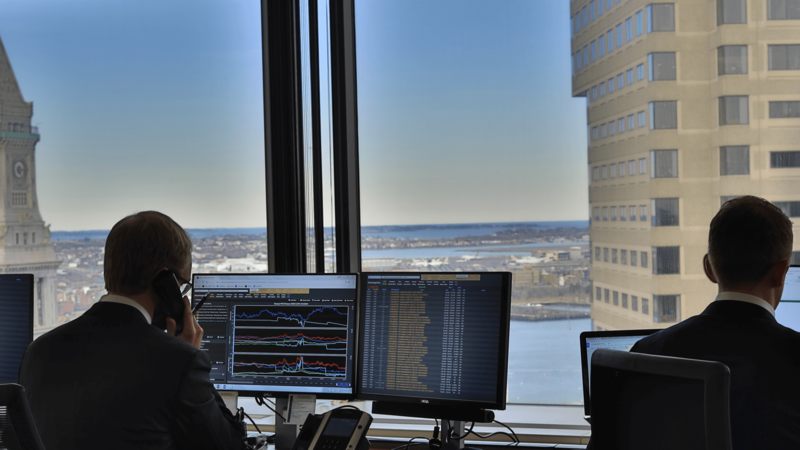 Markets: Given that last week the BDC sector – as measured by the Wells Fargo BDC Index and the price of the UBS Exchange Traded Note with the ticker BDCS – dropped every day, the direction of the market will be a critical factor. Last week’s pullback occurred while the broader markets continued to rise and other forms of non investment grade credit remained strong, begging the question as to whether this was just a short term pause in a continuing rally or a turning point, and prices will be down from here. As we’ll discuss in greater detail below, BDC earnings season is still in process, and individual fund results may influence sector performance. By mid-month, though, all the latest quarterly updates will be in and investors will have positioned themselves. We’ll be keeping track not only of BDCS and the Wells Fargo BDC Index but of the trends amidst the 45 different public BDCs we track. Last week, 42 dropped in price and 20 are now trading at a price below that of 4 weeks ago in the very midst of the rally. If that proportion of underwater stocks rises, or we see an uptick in BDCs trading within 5% or even 10% of their 52 week lows (the current numbers are zero and one respectively) we’ll be worried that the rally that began December 24, 2018 has run its course. On the other hand, if BDCS breaks through the August 30, 2018 high of $21.03, we’ll know that this rally lives and has broken through a critical threshold. 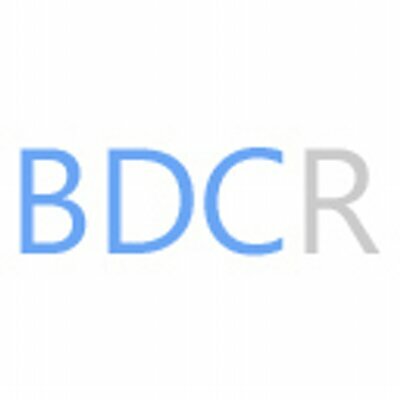 For reference, as of Friday, BDCS was at $19.73. Earnings: This is going to be a busy week for BDC earnings as the season rolls on. We’re already blanching at the prospect, with 11 separate releases coming. Far and away the most important will be the report by FS KKR Capital (FSK). This will be the first time since the merger with Corporate Capital Trust (ex-CCT), and after a name and ticker change. More importantly, we’re going to hear more about the ever huger BDC’s credit status. Reviewing the filing and listening to the Conference Call should tell investors whether the ambitious folk at this unusual arrangement between a firm best known for raising capital and another for investing capital will be successful at lending capital. To be honest, our impression from reviewing the portfolios at both entities (CCT and FSK) for some time now is that management is going to be in turnaround mode for some time to come. Much of that – if we’re right – can be laid at the underwriting taken by FS Investment’s prior partner in leveraged lending GSO Blackstone, which was not shy about taking some very large positions on behalf of the shareholders of multiple FS Investment funds in what now appear to have been some dicey propositions. KKR – now in charge of day to day investment management – re-underwrote those assets when taking over and adding their initials to the door and will have to be responsible for the consequences, if not the original credit decisions. However, KKR will benefit from being in control of many of the debt tranches through the multiple funds now under their co-tutelage with FS Investment, which will aid any work out efforts (but also prolong the time it will take to determine the final outcome). Also worth mentioning – as Oaktree Specialty Lending did last week (OCSL) when discussing their own escape from under two troubled portfolio companies – is that the LBO market remains flooded with private equity buyers with huge untapped resources; hungry lenders of all stripes and an economy which is humming along (despite all the “next recession is around the corner” talk). As OCSL’s management noted, with a little luck and those favorable conditions, FSK may be able to dig itself out of the hole dug by another party, but which they enthusiastically adopted. This may be a holiday shortened week, but the BDC Reporter foresees plenty of developments across a range of subjects that will be worth tracking. Who’s Next ? : Clearly, the capital markets for both debt and equity are open for business where public Business Development Companies are concerned. Admittedly, there’s not been a flood of new capital raised but New Mountain Finance(NMFC) once again undertook a secondary stock offering at a premium to book value (even if that required some subsidizing by the External Manager) and Gladstone Capital (GLAD) entered into an equity distribution arrangement with Jefferies. On the fixed income side of the street, mid-sized BDC Fidus Investment (FDUS) launched a second Baby Bond not long after Saratoga Investment (SAR) piled on additional issuance to its own second Baby Bond offering, while Prospect Capital (PSEC) indefatigably continued to issue InterNotes, albeit in relatively small sizes. That’s all happened just in the month of February. Also worth mentioning – but less subject to the enthusiasms of the capital markets – multiple BDCs have been not only extending but expanding their secured debt financings, including TPG Specialty (TSLX) and Hercules Capital (HTGC). Medley Merger: As we anticipated in last week’s Preview, the dogfight about the future of Medley Capital (MCC), as well as Medley Management(MDLY) and Sierra Income, dominated the BDC news headlines. The BDC Reporter wrote three (!) more full length articles on the subject during the week for our Premium subscribers, the most recent over the week-end. We won’t repeat all the twists and turns of the week past. However, this is where we are right now: MCC and Sierra have rebuffed the NexPoint offer to serve as the Investment Advisor of the two merged BDCs. Also, MCC, Sierra and MDLY have set a new date for a shareholder vote for each entity: March 8, 2019. Plus, MCC’s Board has changed some of its by-laws to maintain control over when and by whom shareholder meetings are called. NexPoint has offered some very harsh criticism of the management and Boards of the Medley empire. Oh, and we’ve learnt about several lawsuits underway which MCC and MDLY have to contend with by disgruntled parties, including FrontFour.